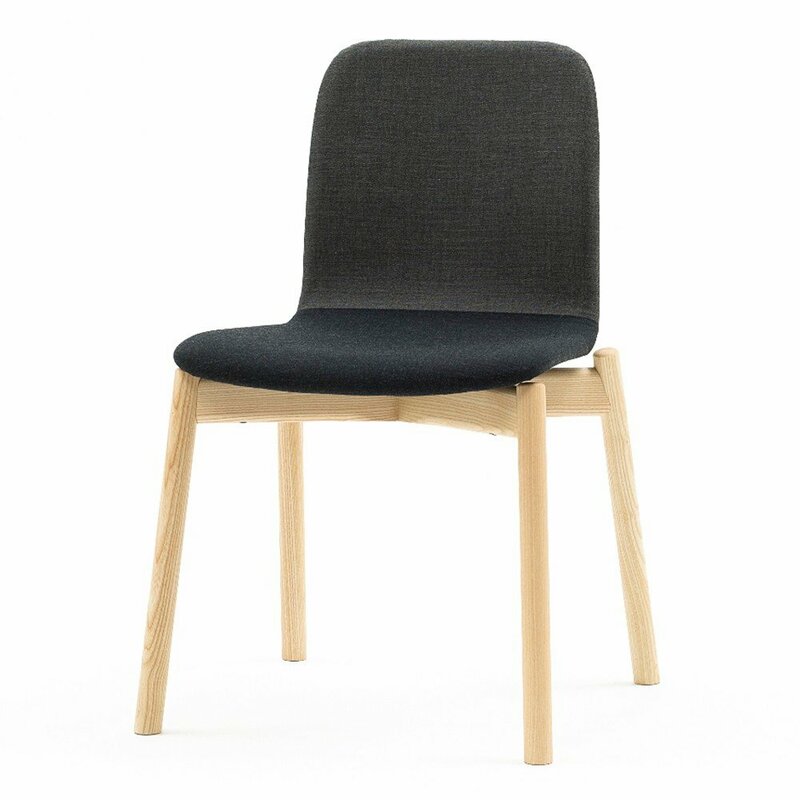 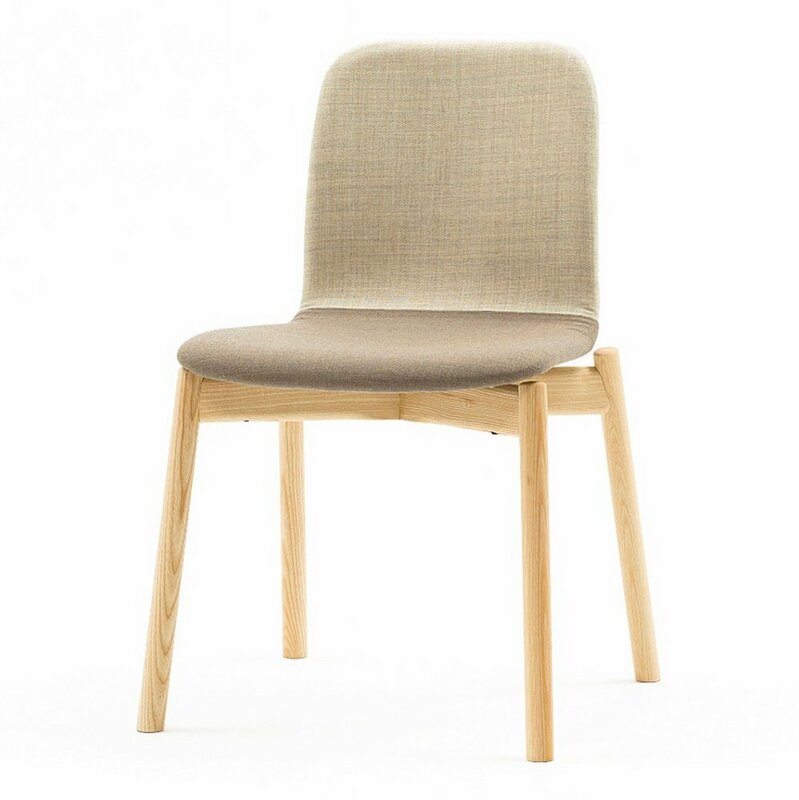 A comfortably padded seat, upholstered in soft wool, covering a multi-layer frame in bent wood, giving a warm welcoming feel. 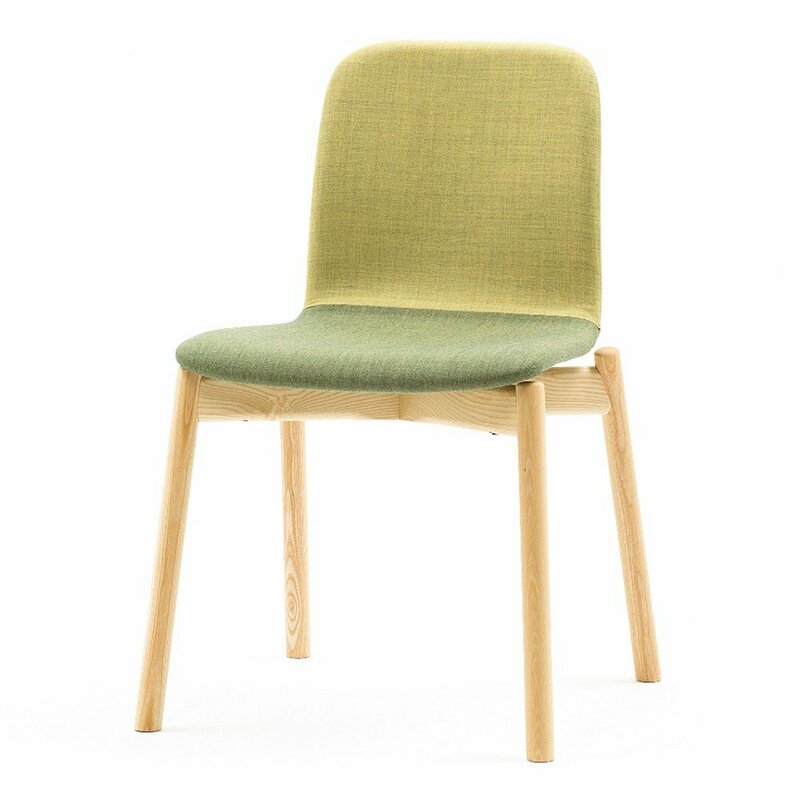 The upholstery leaves space for colour, which, in the two tones, enhances the line between the back rest and the seat in a seeming game of shadows. Stackable up to 4 chairs.